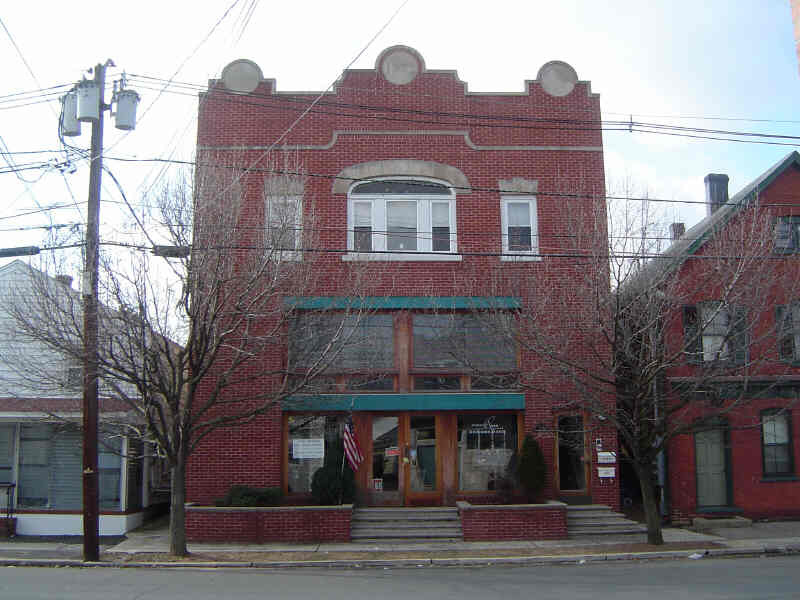 When walking down Anderson Street in Raritan one may not even notice the large brick building at 23 Anderson that today is occupied by “Frame Me”. But that building was once a movie theatre. It was there that Raritan Residents for decades saw movie magic on the big screen. The history of the movie industry is well documented. But the history of our local theatre is not. There are just a few references to the theatre in local history publications. Not a single photo of it can be found. 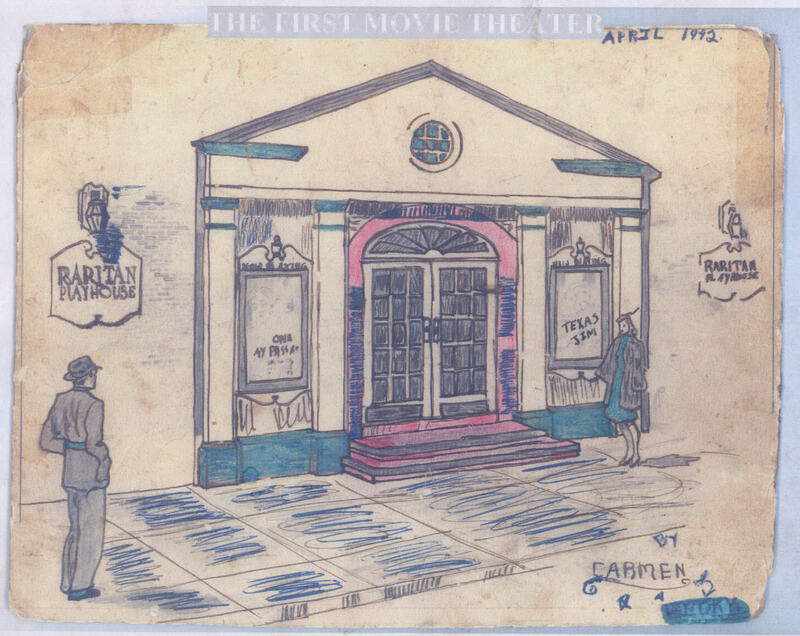 Only a drawing of the front of the theatre from 1941 survives. So piecing together the history of the theatre in Raritan has been a challenge. Here is what this author found. 23 Anderson Street in Raritan as it looks today. In the days before the town had a movie theatre the people of Raritan first saw what were then called “Moving Pictures” in the social halls when traveling exhibitors came to town. An old newspaper from 1906 tells that “Moving Pictures” were shown in St. Bernard’s Hall (later the VFW hall). 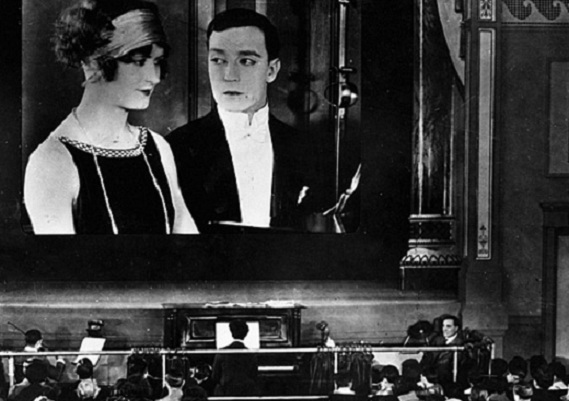 The public was spellbound by these early movies. These movies were of just a few novel stunts, but the public flocked to see this new novelty. However, soon the public tired of this – thus the movie makers realized that they needed to have story lines in the films. By 1910 a steady stream of movies with plots were being fed to the public. There are no old photos of the theatre. Initially large storefronts set up chairs and put a screen in the back and called themselves a movie theatre. These primitive theatres, while logistically poor, showed the promise of this new entertainment medium. Soon buildings were constructed for the sole purpose of being movie theatres. In the early 1910s many theaters were built. The theatre at 23 Anderson Street in Raritan appeared about this time. The year it opened is difficult to pinpoint, but a newspaper column called “Raritan Happenings” tells several times of The Raritan Theatre (as it was first called) in January of 1914. The theatre in the early days showed not just movies, but also plays, and vaudeville acts. These vaudeville shows were various acts ranging from singing, dancing, juggling … . Back then there was a large network of vaudeville performers who moved from town to town. Sometime in the early 1920s the name of the theatre was changed from The Raritan Theatre to The Empire Theatre. The local movie theatre was the main entertainment place in town. Kids of all ages were thrilled to go to the movies. People often headed to the theatre without even knowing what was playing. The theatre, in order to keep a constant flow of customers, changed movies 2 or 3 times a week. 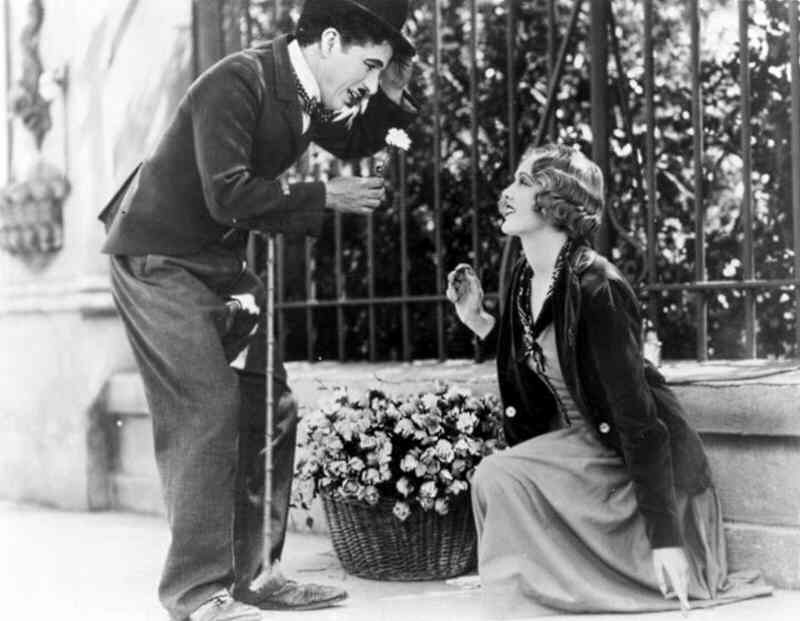 There was no talking in these early movies, so today we refer to that period as the Silent Movie Era - 1914-1929. But the theatre was anything but silent. First a piano player, who set up in the front on the side, would play while the movie was shown. Movies came with sheet music specific for that film. The music was tailored to the scene in the film. While there was action on the screen the music played fast to add excitement. If there was a dramatic scene the music would reflect that. The piano player was down in front. 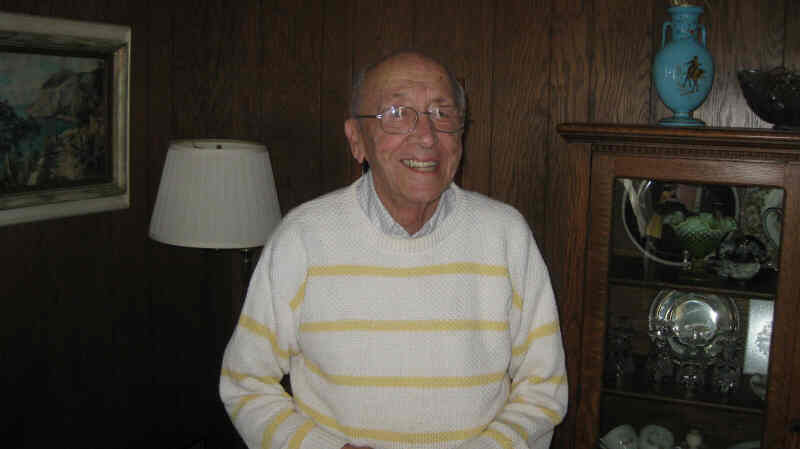 Gene Moretti, age 98, is one of the few people still alive today who attended the silent movies in Raritan. The favorite movies for kids his age were the cowboy ones featuring the stars of the day Tom Mix and Hoot Gibson. He recalled it was a rowdy atmosphere inside the theatre. The kids yelled during the action scenes and booed when the bad guy appeared on the screen – it was all part of the fun. Also the projectors of the day often broke down - usually for just a minute. That would bring on a chorus of boos and hisses. This behavior led to the theatre being nicknamed “The Madhouse.” Today more Raritan people recall the theatre by its nickname than its real name The Empire Theatre. Gene Moretti further recalls that the theatre in the 1920s did not have a snack bar. If a kid wanted a drink of water he had to go to the one bathroom which was both for girls and boys. In the bathroom was a sink with a tin cup on a chain that was connected to the wall. All the kids used the same cup. Obviously, Board of Health rules were non-existent then. And the same for Fire Codes – for if all the seats were taken the theater would allow kids to stand in the back packed tightly together. The Empire Theater would delight Raritan Residents of all ages from the Silent Movie era into the talkie era of the 1930s. But the depression brought on hard times and many had trouble coming up with the 15 cents for admission. This caused the theatre to close around 1933. The building was boarded up for several years. of the Silent Movies in Raritan. 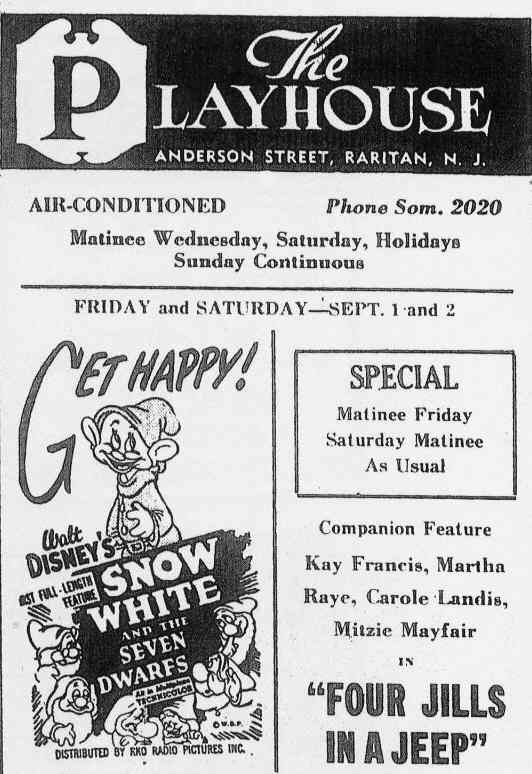 The economy recovery and in April of 1941 the theatre reopened as The Raritan Playhouse. The theatre would thrive for a decade. The format was a double feature with newsreels and cartoons or short comedies. Thus going to the movies was a 3 hour plus experience. During World War II the theatre was a much needed distraction from the war. To encourage people to come back repeatedly The Raritan Playhouse sometimes gave away dishes with admission. One or two nights a week was “dish night” where with admission one received a cup or plate of good dishware. These dishes were all of the same pattern. 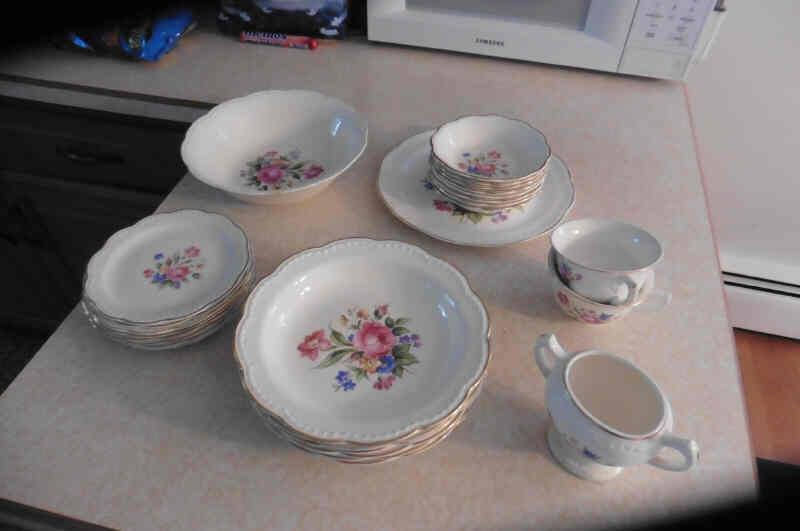 Thus after attending dozens of times on “dish night” one had a good set of dishes for their dining room cabinet. This author’s neighbor, Irene Sixt, still has her dish set as many Raritan residents do. The theater did well until the early fifties when a new medium called television became popular in the living rooms across America. In January of 1952 the owner closed the theatre siting that television had recently caused a 50% drop in attendance. While he converted the building to a furniture store, he saved the projector equipment just in case television would prove to be a fad and fade out. But as we know that did not happen. So above is what this author found out about Raritan’s movie theatre. If anyone has a photo of the theatre please contact Bruce Doorly at bdoorly@verizon.net . One final thought – perhaps a plaque should be put on the outside of the building reminding people that a beloved theatre once was there.